LOS ANGELES – Heavy rains that have fallen on an area devastated by the deadliest in California's history have caused floods that have resulted in evacuations of homes and the closure of part of the city. Thursday, officials said. The Butte County Sheriff's Office issued an evacuation order for an area east of Chico, a town near the campfire burning area, after storms poured into the fire. To a centimeter and a half of rain in the area burned by the fire and after Thursday's thunderstorms fell by 1 ¼ inches, officials said. Butte County Sheriff Sgt Brad Meyer told KNVN, a NBC affiliate, that several feet of flooding was blocking residents in an area near Honey Run Road and Horse Run Lane, and that crews were using rafts to reach about 12 houses. "It's serious, the water is rising, so we want to make sure everyone is out there," he said, adding that the depth was several meters from the road. Rick Carhart, head of information for the California Department of Forests and Fire Protection, said a whitewater rescue team had been deployed and that three houses had been evacuated by boat in this area. An evacuation order remains pending for the devastated city of Paradise, which was largely destroyed during the camp fire that began on November 8th and which is causing the death of at least 88 people. Flooding in areas south of the burned area includes a thunderstorm that has settled in this area, she said. "The same areas are regularly affected by moderate to heavy rains," Matthews said. The rain in the area is expected to last until the afternoon, she said. A section of Highway 99 south of Chico has been closed due to flooding, transport officials said. The Chico Police Department on Twitter said that many roads had been flooded, but a police official said the floods were not due to the recent fire. A sudden flood warning was in effect for some parts of the burning area until 9:15 pm. local time (12:15 ET). The rain also fell in southern California in an area devastated by another forest fire, the so-called Woolsey fire, which also erupted on November 8 and destroyed more than 1,600 structures. 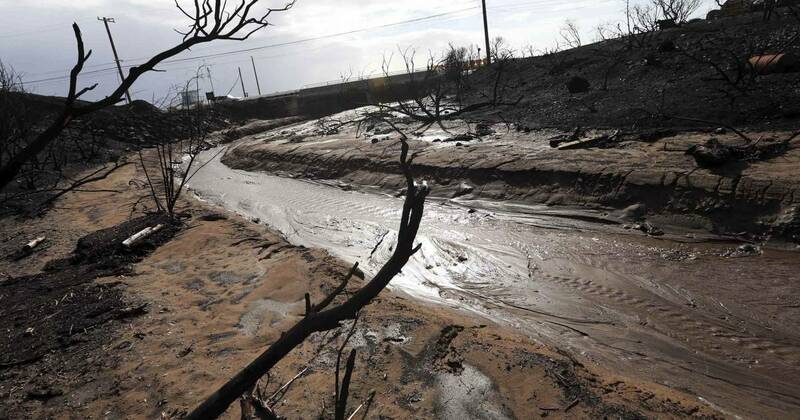 The National Meteorological Service announced that a flood warning was in effect in the area and warned of the possibility of mudslides and debris in burned areas.